His hit drought is the longest in history. 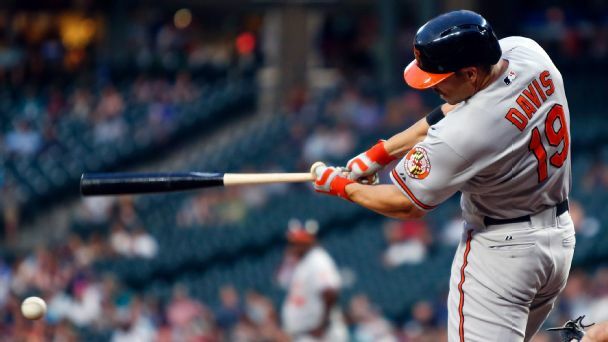 Can the Orioles fix a faded slugger who threw his uniform pants in the trash after a recent game? Says Davis: "I'm absolutely open to anything." 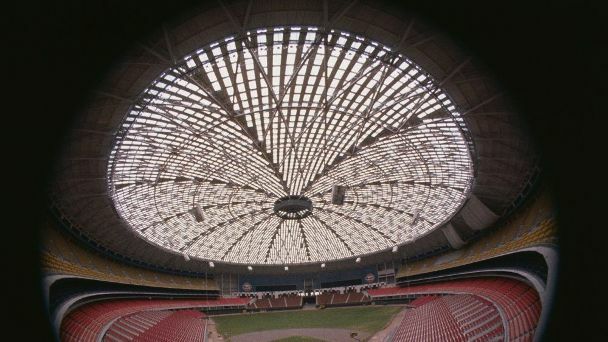 Hitting a ball off a speaker 300 feet away and 117 feet high is one of many memorable and weird ways to reach base. 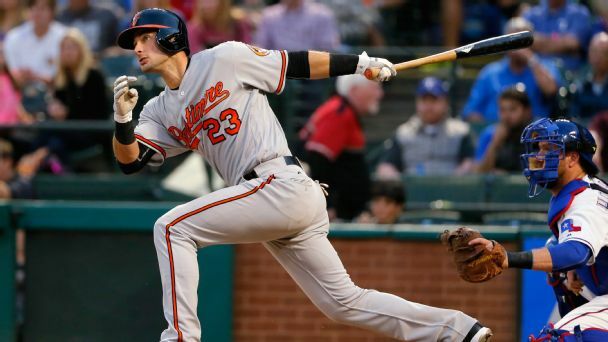 The Baltimore Orioles have activated outfielder Joey Rickard from the 10-day disabled list and are starting him in the series opener against the New York Yankees. 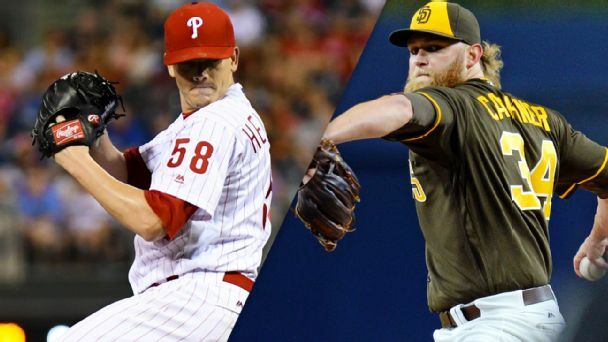 MLB Rumor Central: Joey Rickard on shaky ground in Baltimore? The Orioles' signing of Michael Bourn to a minor league deal might have put Joey Rickard's job in jeopardy. MLB Rumor Central: Chris Davis to undergo MRI? 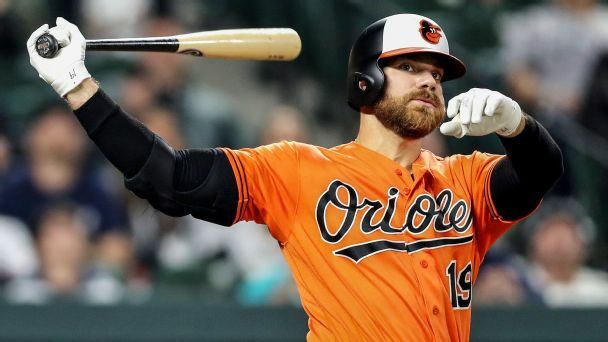 The Orioles have reportedly arranged an MRI for Chris Davis on his bothersome hand to determine whether surgery is required. 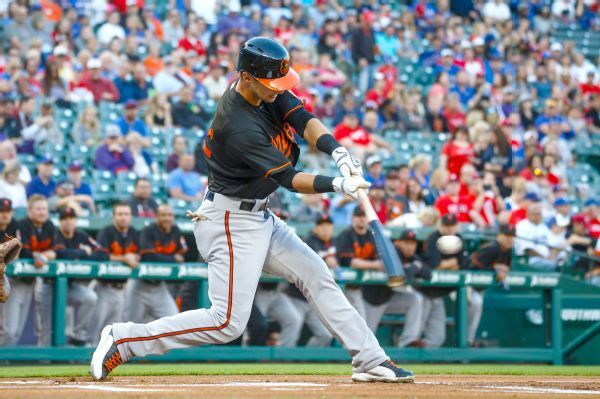 The O's are legit in the AL East, but Baltimore GM Dan Duquette will have his sights set on the bargain bin, just like he did this past offseason. 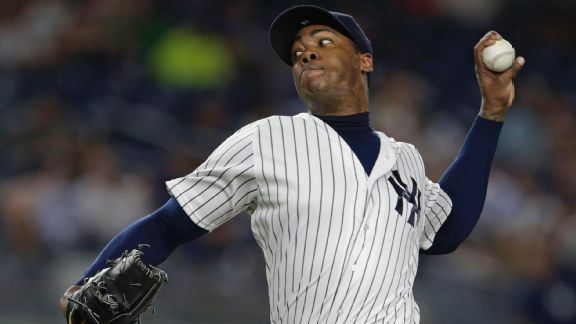 Aroldis Chapman dialed up the heat on Monday, as the New York Yankees' closer let loose with pitch speeds that have rarely been seen. 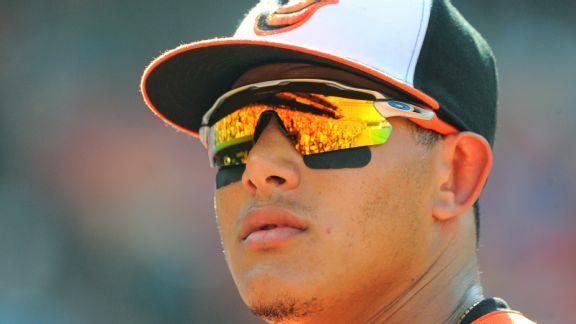 Manny Machado's versatility and bat make him the easy choice for the Orioles' most valuable player at the break. Who else deserves recognition? 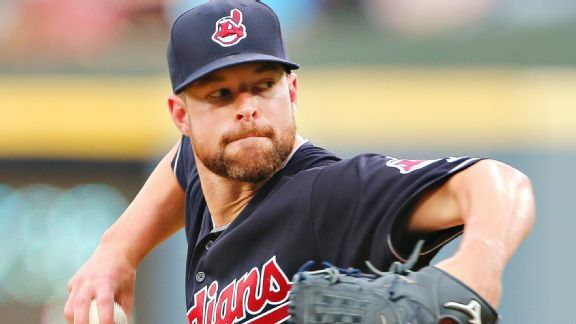 With the best rotation in the American League, the Cleveland Indians will be a legit threat come October.